Our three brand-new subscription quilting boxes give you a monthly or quarterly fix of beautiful fabric! These boxes are The Fabric Box with a selection of fat quarters, The Quilting Box which will help you steadily build up your quilting stash over time and The Quilter's Quarterly Box for a quarterly dose of quilting inspiration! The Fabric Box monthly subscription gives you a variety of our best quality fat quarters from the likes of Kaufman, Moda, Stof and more every month and may also include other fabric cuts in a variety of colour ways so that you can build up a beautiful fabric stash with unexpected and impressive fabrics from our wide range of suppliers! The Quilting Box monthly subscription gives you a slightly smaller variety of our best fabrics every month, together with a variety of haberdashery items including Gütermann threads and, from time to time, a free pattern. It's perfect if you're an avid quilter and like to get your fix of helpful quilting supplies and fabrics! The Quilter's Quarterly Box, the latest addition to our subscription range, is a beautiful selection of six half-metre pieces, colour co-ordinated and ideal for steadily growing your fabric collection. Delivered every three months, we hope this new fabric subscription box will even serve to inspire you for your next quilting project! The value of the individual items in the box will always exceed the monthly or quarterly cost. This means that each box is a brilliant deal on our fabrics and quilting accessories. What's in the box is a surprise. We handpick the fabrics each month to ensure they'll surprise and delight you and the contents of each box is a secret until you open it - wonderful! We aim to improve the boxes every month. After the boxes have been delivered, we'll send you a link to fill in an optional survey where you can tell us what you liked, what you didn't like and how you think we might be able to improve the offering in our subscription boxes. You can change your subscription or cancel at any time. Feel free to upgrade or downgrade between the two subscriptions as you wish. Payment is taken on the first of each month and all you need to do is email us before this date if you wish to cancel. These boxes also make great gifts. When you subscribe, you have the option to limit the number of cycles which means you could gift a six month subscription to a friend, for example. We can also ship these subscription boxes within Europe. Make sure that you choose the Europe option when you subscribe. Note that the prices are slightly higher to cover the increased postage costs: The Fabric Box is £16/month (plus £2.50/month postage), The Quilting Box is £19/month (plus £2.50/month postage) and The Quilter's Quarterly Box is £37.00/quarter (plus £2.90/quarter postage). Payment is taken on the first of every month. When you sign up, your first payment will be taken on the first day of the following month. Your subscription quilting box will then be sent within a few days of your payment being processed via Royal Mail first class. For The Quilter's Quarterly Box, payment is still taken on the first day of the following month and then every three months thereafter. The Quilter's Quarterly Box is delivered every three months. You'll receive your Quilter's Quarterly Box in January, April, July and October. It's more fun if you share. 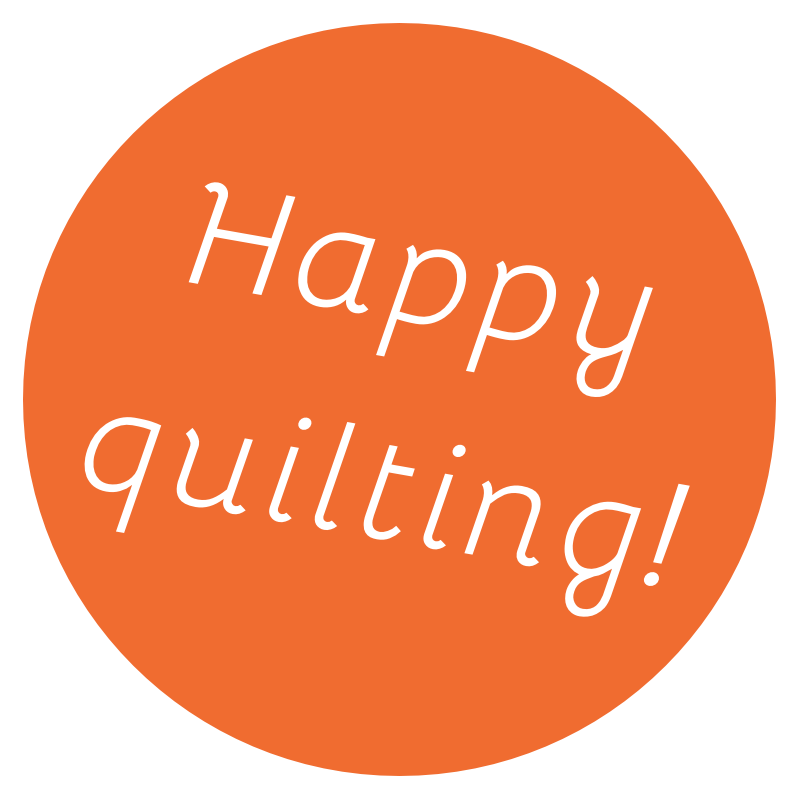 Share your creations made with our subscription boxes on Facebook, Twitter and Instagram with #axholmequilting and #happyquilting!